Radiation defect generation by high-energy MeV electron irradiation of n- and p- type Si-SiO2 structure with different kind of oxides has been studied. The morphology changes of SiO2 oxide during MeV electrons irradiation was observed by AFM. 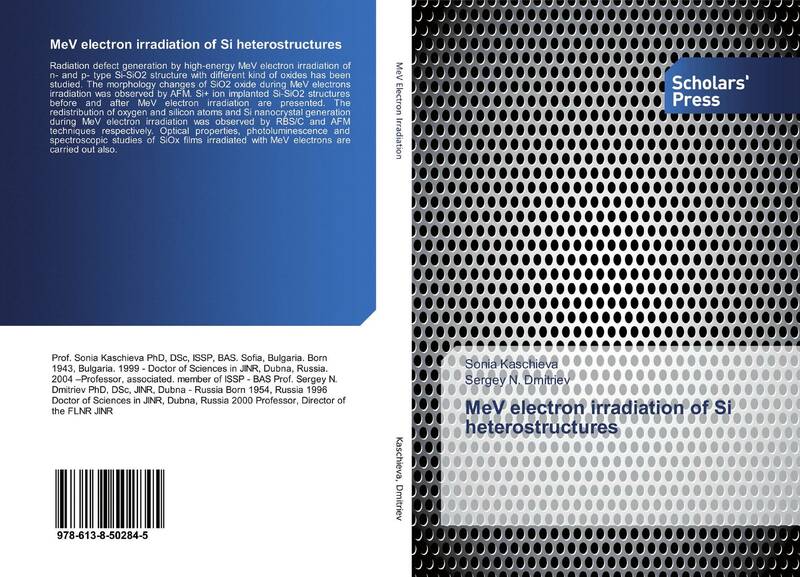 Si+ ion implanted Si-SiO2 structures before and after MeV electron irradiation are presented. The redistribution of oxygen and silicon atoms and Si nanocrystal generation during MeV electron irradiation was observed by RBS/C and AFM techniques respectively. 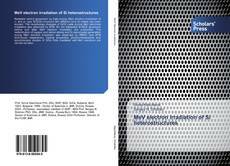 Optical properties, photoluminescence and spectroscopic studies of SiOx films irradiated with MeV electrons are carried out also.